What a day. It rained on us. We got a little wind, then the water was still. It was a mish-mash of wind changes and rain fall. We are in North East, MD at the most Northern tip of Chesapeake Bay. Our B&B for 3 nights. Ted putting on rain gear for our afternoon sailing session. Even though the weather wasn’t perfect, it was a great day to learn how to maneuver a basic keel boat. Tomorrow we get into navigation maps and expect beautiful 15 naut winds plus plenty of sunshine. Our day began with fresh melon with blueberries. Blueberry muffins. ELT breakfast sandwiches (Egg, Lettuce, Tomato). When we came in from the water at 12:20pm, lunch was on the table. Tuna salad on lettuce and tomato, with celery and chips. Chocolate chip cookies were offered for dessert. Our afternoon sailing session began donning the rain gear as the sky threatened. Luckily there was no thunder and no lightening so Ted and I told Don we were game to suffer nature if he was. We stayed on the water until 4:30 pm. Tomorrow, with the sunshine, I will take some pics on the boat. Following a full day of tacking and jibing, we were hungry. We high tailed it into town to experience the local restaurant of note, “Woody’s”. North East is a small town with about 10 shops and 4 restaurants. But the locals are friendly and the food is fresh and good! We grabbed a bowl of peanuts as we sat at the bar and began shelling and crunching immediately. Peanut shells adorned the floor. Get ready because you won’t believe how much these two sailors ate. By the way, look what was on the bar at every setting. Click on the pic to enter the giveaway. Whose clothes is kitty on? Ted's of course. The one who has allergies to cats. Good night all. “Red skys at night, sailors delight. Red skys in the morning, sailors take warning”. Heard that one? This weeks CEimB recipe is Oven Baked Onion Rings. Thinking of Ted, who doesn’t like onion rings, I used 3 vegetables for this dish: Green and Orange Bell Peppers, Vidalia Onion (as called for in the recipe), and Zucchini. The zucchini of course, was not cut into rings but “sticks”. The recipe was chosen by Mary Ann of Meet Me In The Kitchen. Check out her blog for the complete details. She always puts up a great post! 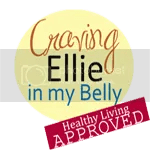 Ellie Krieger Author of “The Food You Crave” (the book we use for most recipes) is a new hero in this house. Two recipes in a row – total winners! Ted EVEN SAID HE LIKE THE ONIONS! Can you believe it?! Here are my ingredients with changes from original recipe in RED. Silpat mat for most of the veggies used to bake them in the oven (I used a foil lined sheet for some extra veggies sprayed with non-stick and they stuck. It was a good thing I used the Silpat). 1 cup low-fat buttermilk (not sure if this was a substitution or not, I used powdered buttermilk, added water to reconstitute. I prepared the recipe as directed except of course for the buttermilk powder. I reconstituted 1 1/4 cups of it. As the potato chips began to clump up from getting wet due to the dipping from the buttermilk to the chips, it became impossible for them to stick to the veggie. I then took the remaining veggies which were in a bag with the flour, poured the remaining buttermilk on top, poured in the clumping chips and tossed around. I then put this batch on the foiled lined sheet which was sprayed with non-stick. You could tell by this move I was getting pretty fed up with the whole dipping thing. This batch stuck to the pan. 1. It was SO good. Everyone loved their veggie rings. No detailed comments, just …”these are really good”. 2. The veggies cooked on the Silpat sheets were perfect. They did not stick and browned evently. 3. The veggies cooked on foil sprayed with non-stick (as directed in the recipe) stuck to the pan. But…they were still really good. The 1/2 tsp of cayenne was just right for this recipe. Not too hot, just a hint of heat. With everything else I had on for this day (I made this recipe on Saturday the 18th), it went smoothly and quickly and we paired it with creamed spinach (my version), vegetarian sausages and regular sweet italian sausages for the meat eaters. NOTE: Dear CEimBers…We are vacationing this week in DC and Chesapeake Bay so I most likely won’t get to see your wonderful pictures and detailed posts until I return. Take care and hope you all enjoyed these veggie rings as much as we did.